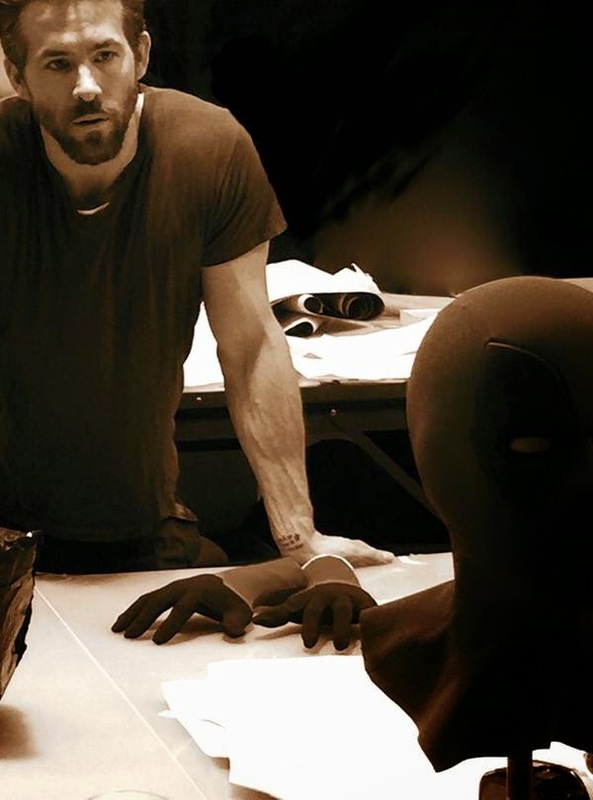 Ryan Reynolds tweeted out a first look at Deadpool this Thursday morning stating that the photo is in sepia tone to hid the fact that the mask is ballerina pink. Twentieth Century Fox and Marvel Comics announced that the movie will hit theaters Feb. 12, 2016. Tim Miller is set to direct the film. News of Deadpool's release came just weeks after test footage of the project leaked online (watch below). The sequence, featuring Reynolds, was shot several years ago, but nevertheless sparked intense conversation on social media. In a recent interview, Reynolds commented on the leak, suggesting it helped move the process along. "The movie has been in a state of limbo for a while. There was such an overpowering reaction to the footage, you sort of feel like, 'Oh, so we weren't crazy for our reasons for loving this character, for loving this role.' It's interesting to see the power of the Internet. It's awe-inspiring, actually, and it's neat that Twitter and Facebook and Instagram can move mountains when used in the right way."